HealthyTipTuesday: Keep your child’s car seat rear facing! There’s been a lot of discussion about the recent laws requiring parents to keep their children rear facing until the age of 2. So far New Jersey and California have updated their laws to reflect the American Academy of Pediatrics recommendations. Personally, I think it’s great! We kept our son rear facing until 22 months. We could and probably should have waited longer but I was 9 months pregnant at the time and somehow thought by turning him around it would alleviate some of the discomfort of placing him in the car. Crazy thinking I know! And then there’s the thought that he would be happier forward facing because staring at the seat was completely boring. 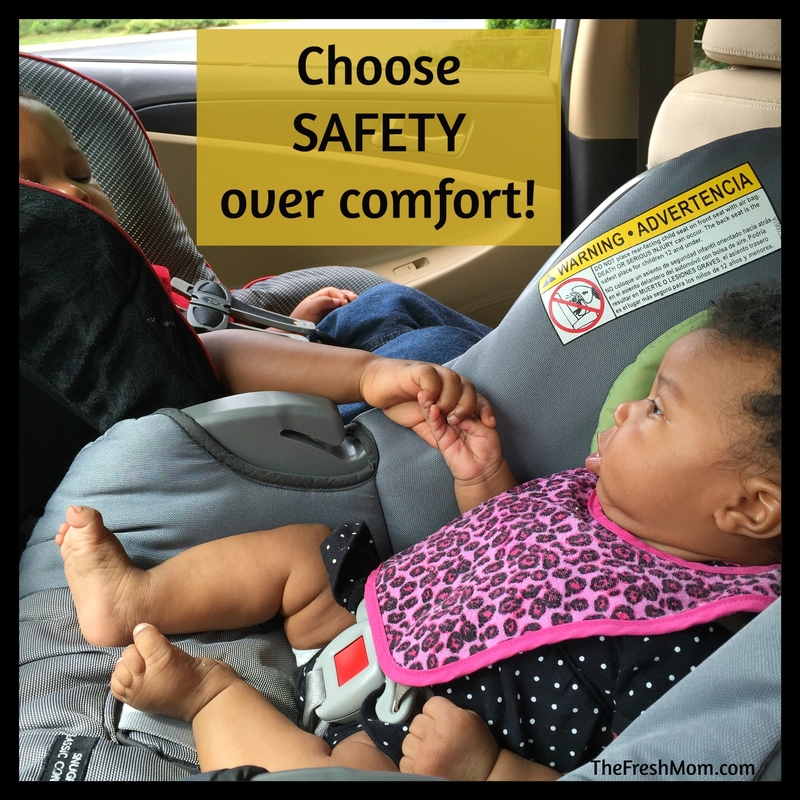 When it comes to your child’s safety, who cares about comfort right? Yeah, that’s how we should think as parents but not enough of us do. I challenge each of us to always put SAFETY over comfort! Our little ones really don’t know what they’re missing and would appreciate the sacrifice to keep them out of harms way. Since we’re on the topic of car seat safety, let’s make sure we’re properly educated on installing the seat and buckling our children as well. Need help installing your seat? Check out this directory of inspection stations in your area. Still not convinced about rear facing seats? Watch this video of the grandfather of an 18 month old whose neck was broken in an accident. It’s a little long at 6 minutes, but it’s worth watching. Why we don’t vaccinate…ON TIME! I should show this to my grandmother, who hates that Raven has to be in the back by herself. I tell her “and that’s where she will stay, and turned around.” The old lady doesn’t even believe in car seats. I guess cars didn’t really go that fast when she was rearing kids. She says they just laid the baby on the seat if their was no one to hold the baby in their lap (I just gasp). Lol! Your granny is just old school! Their wisdom is so funny at times. Sure, show this to her but don’t tell her I said it haha. Just tell her what the law is and maybe that’ll help. As far as Raven, she will be just fine back there by herself. Kids have awesome imaginations and will entertain themselves and if not that, she’ll enjoy a nice little nap until you reach your destination lol.